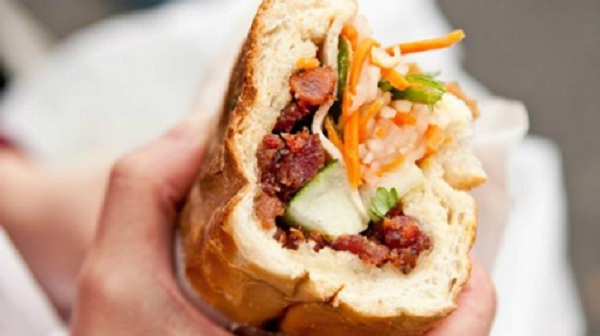 Vietnamese sandwich is familiar sidewalk dish of the people in Vietnam that appeared several times on the international tourist sites and was voted one of the best street food in the world. 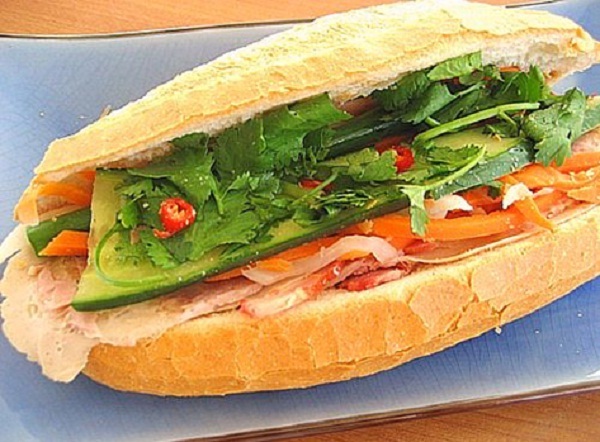 Vietnamese sandwich is combination of pork, pate and vegetables (such as carrot, coriander, cucumber) all are put into loaf crispy crust soft gut. 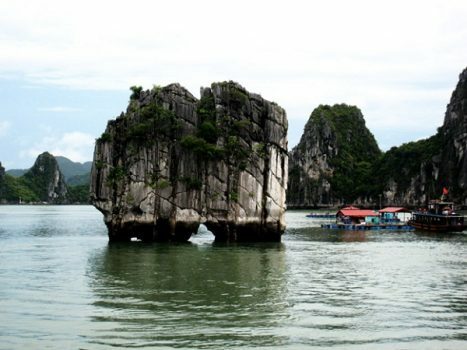 The Regional Differences Vietnam also makes bread in each place is a bit different. Occasionally the intestine will have more bacon, sausages or other vegetables. 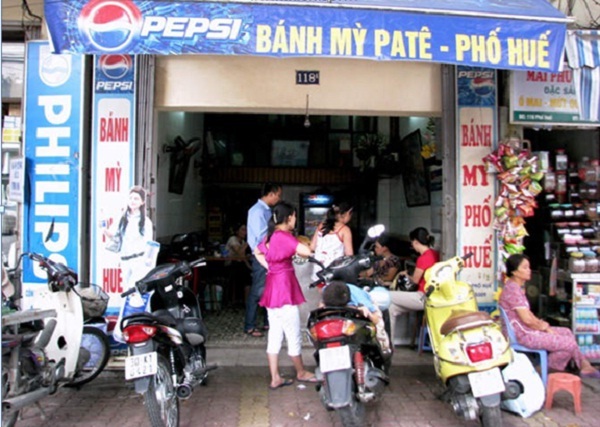 Vietnamese sandwich is considered the interface culture and cuisine. It contains flair of the East and the West. This dish started to appear from the French colonial in the period time. Meanwhile, the French in Vietnam simply put pate and butter on the bread. 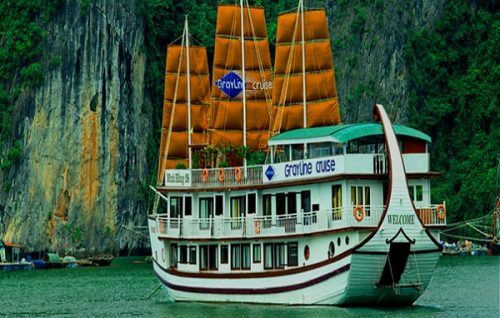 Then in 1954, the Vietnam forced the French to withdraw from the country, they gave particular variant of bread, add pork, herbs and cucumbers , make bread flavor of Vietnam. But everything inside the loaf of bread has its role: shrimp help absorb sauces, pates and humidity make the bread is baked enough bread crispy help soften the weather not much moisture as Vietnam.